If you are like many people who are searching for effective ways to save water at home, you may be motivated to do so for several reasons. There is a growing concern about the availability of fresh water on a global scale, so you may want to conserve water based on environmental or social factors. You also may want to reduce water consumption in order to reduce your monthly bill. The good news is that you can easily save water at home by following the tips below. Water is essential for survival and for our conveniences like cooking, cleaning, and more. When people think about ways to save water at home, they often believe it will require making drastic adjustments to their lifestyle. Fortunately, there are some easy habits you can adopt that will produce great results. There are a few areas around the house that are sources of significant water use, and one of these is the bathroom. Between brushing your teeth, flushing the toilet, and bathing, you and your family members may waste a huge amount of water daily. Making a few small adjustments to hygiene habits is an effective way to save water. For example, turn off the water faucet when brushing your teeth. Avoid taking baths when possible, and set a timer to limit your water usage in the shower. Reducing your shower time by just a couple of minutes a day can add up to savings throughout the year. Adjusting bathroom habits is only one way to save water at home. You can also replace older faucets with aerated or low-flow faucets. Aeration enables you to enjoy a full stream of water from the faucets while using less water and it just requires adding an aerator piece to an existing faucet. 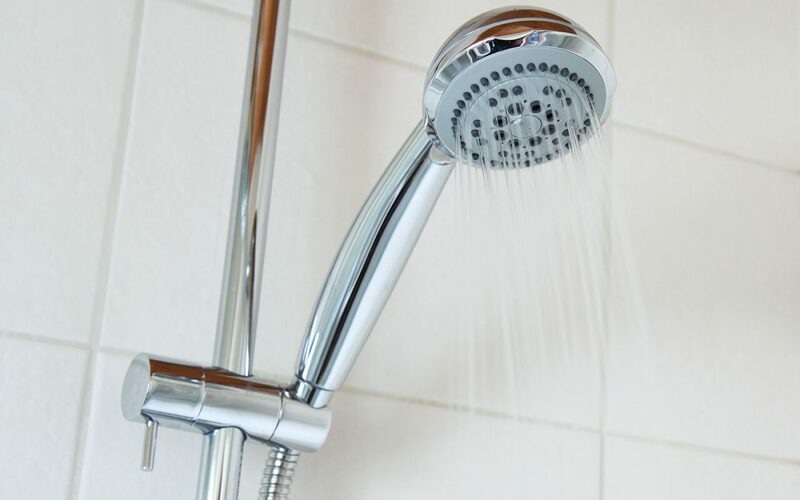 WaterSense showerheads are inexpensive and can replace your old showerhead to reduce water used in the shower. Low-flow toilets are also available that use less water with each flush while still being effective. You may also use lots of water outside to maintain your property. This may be to water the lawn, clean the patio, or even wash the car. To save water at home, attach a rainwater collection container to your downspout to gather and store rainwater until it is needed. Most of these containers have a spigot that allows you to access the water through a garden hose for easy use. Some of your home appliances use more water than new, water-efficient appliances. This may include your washing machine, dishwasher, and even hot water heater. You can either adjust usage habits with each of these features to save water at home, or you could upgrade to water-saving models. For example, a front-loading, high-efficiency washing machine uses fewer gallons of water with each load than older top-loading models. Newer ENERGY STAR® dishwashers use less water than washing dishes by hand. Adjusting water consumption habits or upgrading fixtures and appliances are great methods to save water at home. Teach your entire family how to save water for more substantial results over the course of a year. By combining all of these tips, you may use a fraction of the water that you previously used. Robertson Home Inspection serves the Piedmont Triad in North Carolina with home inspection services including home water testing. Contact us to schedule an appointment.